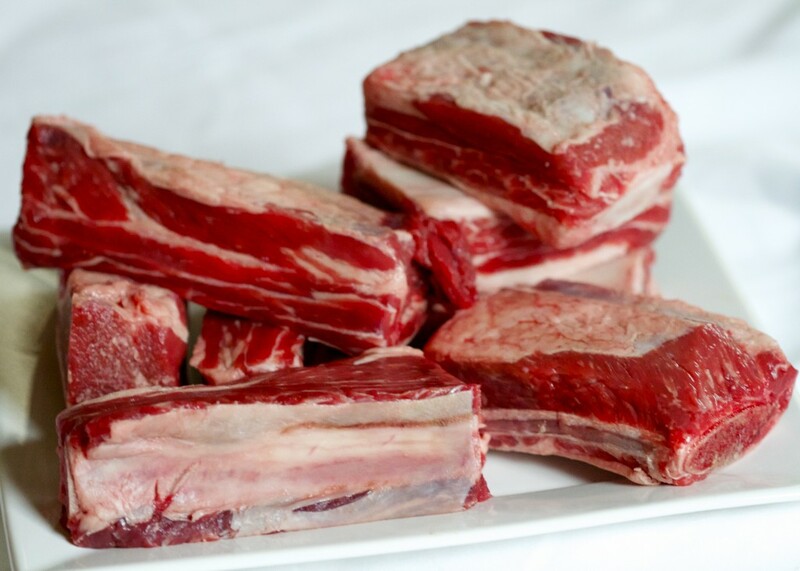 Beef Shorts Ribs is/are one of those foods I mostly avoided prior to “going paleo”. They just seemed way too fatty to be a reasonable option for someone concerned with eating “healthy.” Or so I thought. I do remember being on vacation in New Orleans years ago and dining at Emeril’s Delmonico restaurant. We were on vacation so I was going to go a little wild. Okay, when talking about vacationing in New Orleans and going “wild” I should probably qualify that by saying my going wild amounted to eating a huge plate of beef short ribs and polenta. I was going craaaaazy I tell you! Anyway, the meal was so fantastic I still remember it fondly not only because of the splurge on beef ribs but the accompanying polenta which was beyond delicious. For years I wondered what in the world could have been in that recipe to make it so amazing. Well, I’m pretty sure I’ve figured it out and….it is beef fat (aka tallow). Duh! That exquisite polenta was soaked in tallow from the short ribs. So imagine my delight when I read information like this telling the truth about red meat. Of course, we know now that grass-fed/finished beef is higher in Omega-3 fats than conventional beef. So I do recommend when eating fatty cuts you use grass-fed beef. Although I must confess I did not follow that advice for this recipe simply because I did not have access to a higher quality product. Here’s a shot of the ribs I used. Instead of making polenta to go along with the short ribs (too much corn) I decided to take an asian path. Asian food is one of my favorites. Never having been able to achieve results at home that matched the food in good asian restaurants, it has usually been my preferred cuisine when eating out. The problem is I have celiac disease and am intolerant to all kinds of weird ingredients. If you have ever taken a stroll down the asian food aisle at the grocery store and peeked at the labels of some of the packaged food you will understand the problem. To get my beef AND asian food “fix” I came up with this recipe that avoids troublesome ingredients. 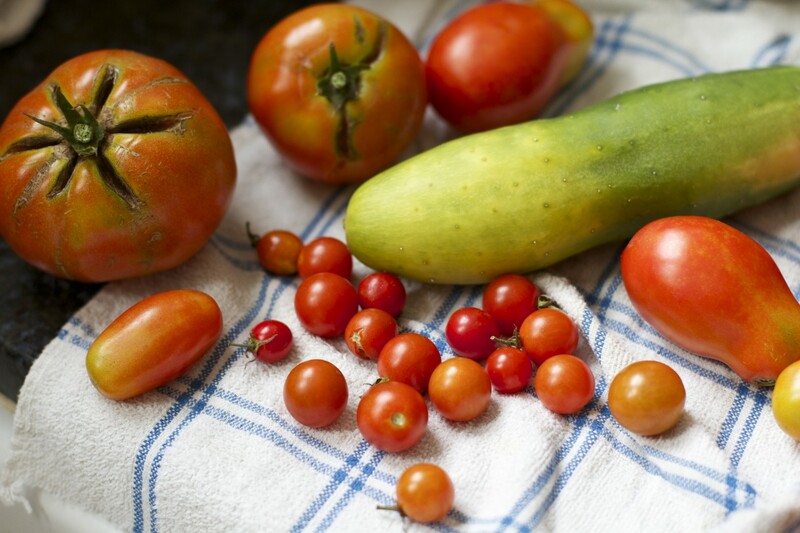 If you are following an “autoimmune paleo protocol”** this recipe will work for you. The only ingredient that might be considered unusual is coconut aminos. Coconut aminos is a product derived from coconut that tastes like soy sauce but does not contain wheat (gluten) or soy. When I was putting this post together I looked at the photos on my camera and had to laugh at what I saw. There were photos of beef short ribs then photos of flowers, then photos of more ingredients for asian-style beef short ribs, then vegetables from the garden and back to food and on and on. 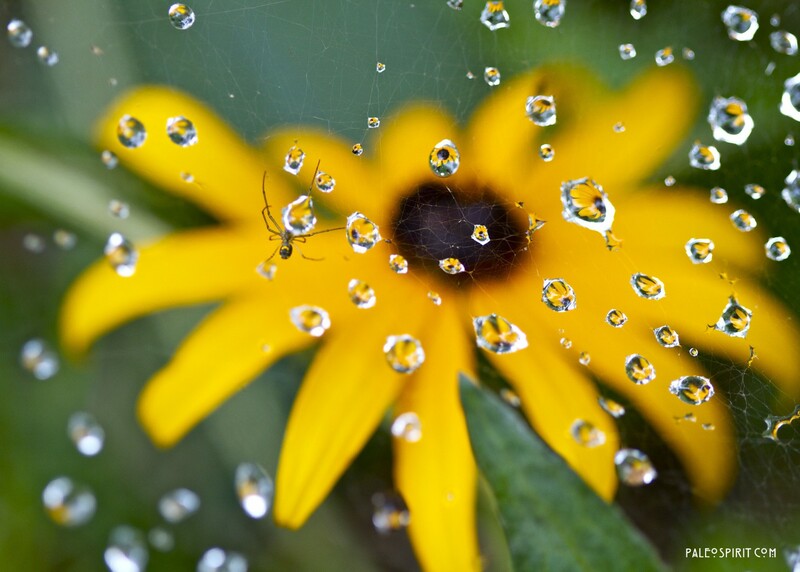 I just bought a new camera lens and I’ve been having fun practicing with it. But this is only part of the explanation. The truth is, flitting from activity to activity is pretty much standard operating procedure for me. Hmm, wonder what that means…Oh look, a spider! Oh yeah, beef short ribs. Season the beef ribs lightly with salt and pepper. Heat a large, oven-proof pan on medium-high heat and spread a thin layer of fat/oil to keep the ribs from sticking. Sear the ribs for about 1-2 minutes on the meaty sides. You will probably have to do this in batches. Remove to a platter and cover with aluminum foil. 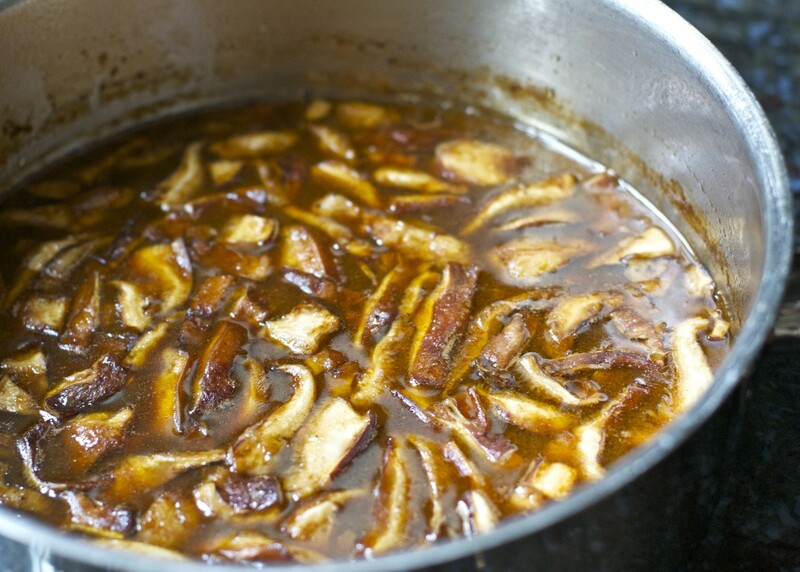 Sauté the chopped onion for about 10 minutes in the same pan you used to sear the ribs. Mince the garlic, ginger and pepper (or use a food processor as I did) and add to the pan with the onions, cooking while stirring for about one minute. Bring to a simmer, cover tightly and place in a preheated 300 degree F oven. Cook for 3 hours. Remove the pot from the oven. 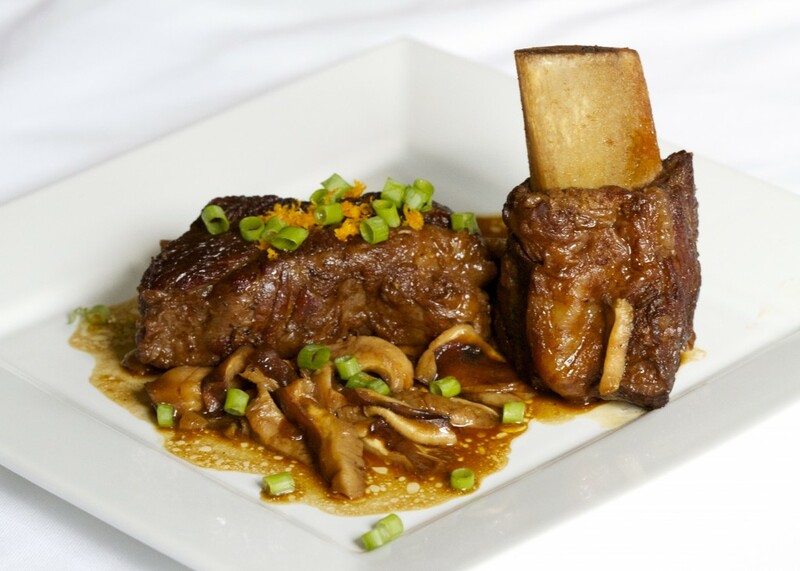 Remove the short ribs to a separate platter and cover them with foil to keep warm. Bring the sauce to a simmer and reduce to about 1 1/2 cups. It will be very rich. Add salt and pepper to taste. Add the shiitake mushrooms and juice of one orange and continue simmering until mushrooms are softened – 5-10 minutes. 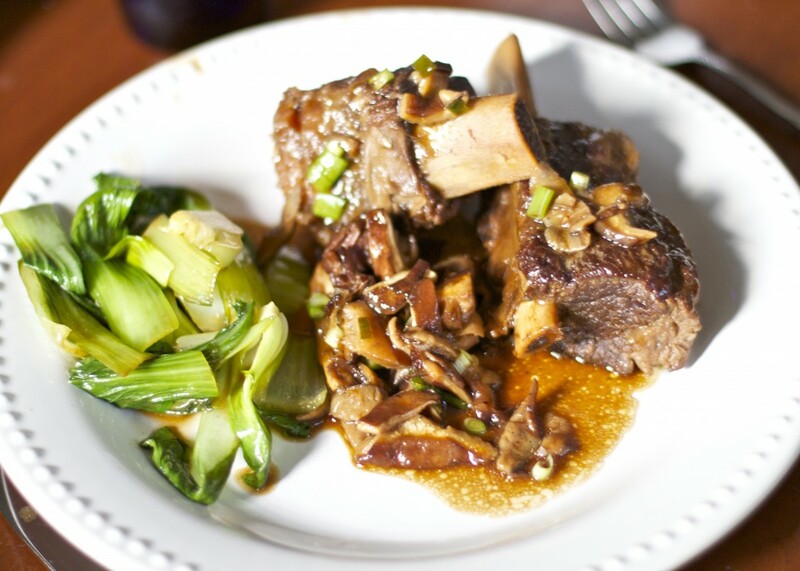 Place the beef short ribs back into the pan and coat them with the sauce. 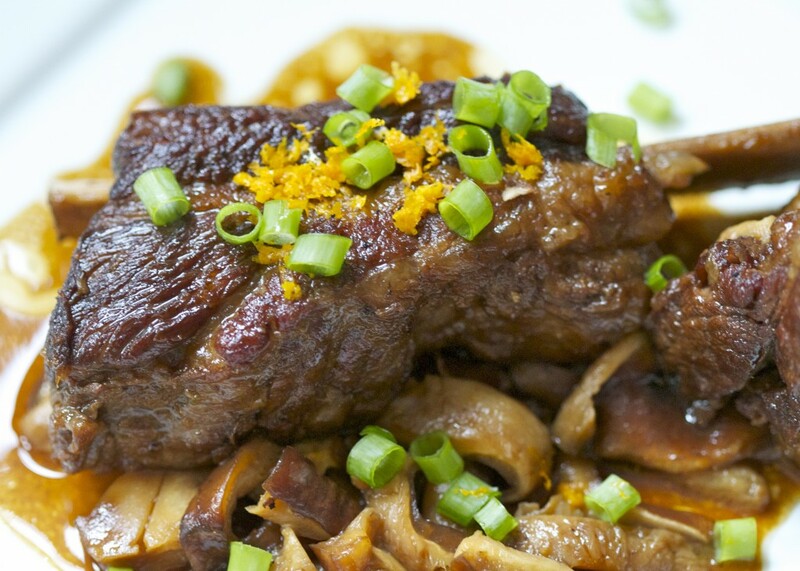 Serve the ribs warm, with the mushrooms and garnished with orange zest and sliced scallions. Because we are not eating rice with this dish, we need to have enough vegetables to fill us up. 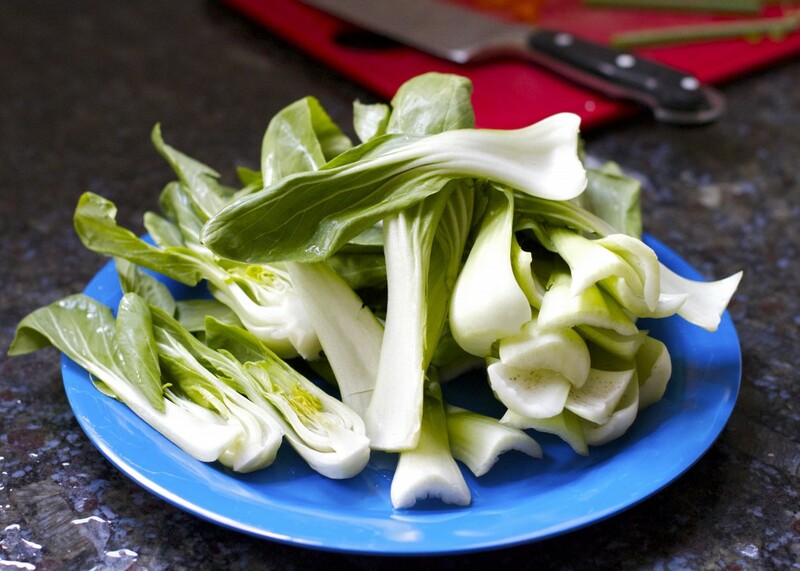 Our favorite is baby bok choy. It really goes great with the asian flavors of the sauce and it’s very easy to make. 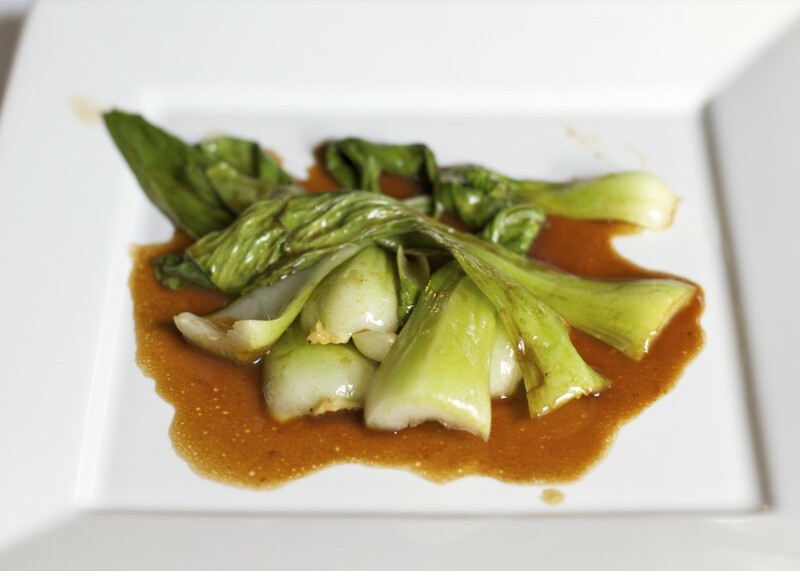 I ladle out some of the rich, asian-style beef short ribs sauce into a pan and sauté the bok choy until it is wilted but still crunchy. 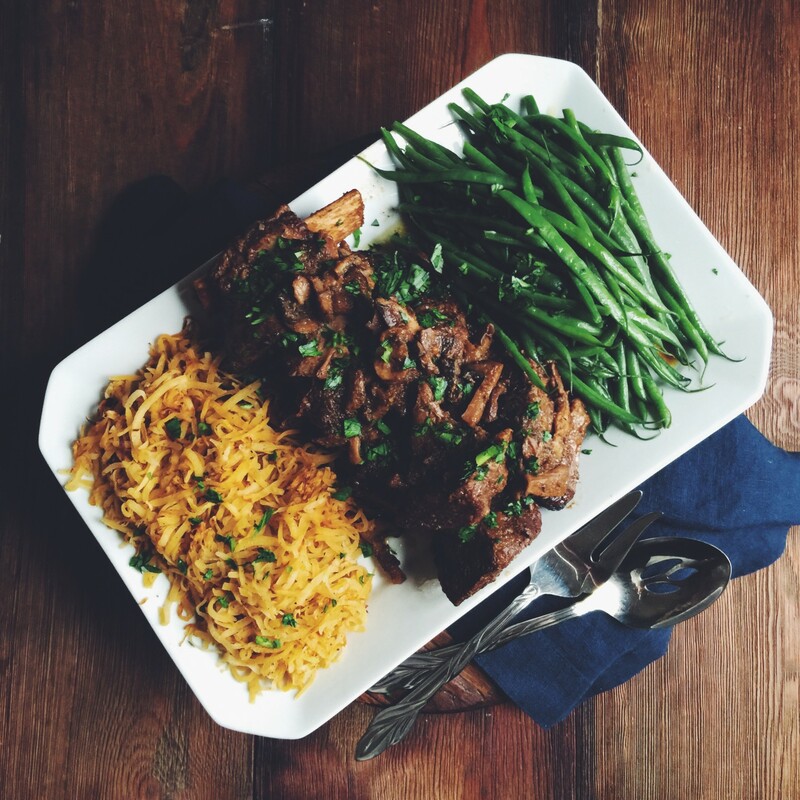 This short ribs meal really went over well with the family. The boys even ate all their bok choy! You could very easily make this dish in a crock pot instead of in the oven. *coconut aminos are harder to find than soy sauce. If you can’t find it in the grocery store you can try ordering online. (I was only able to find a link on Amazon for a huge quantity, so unless you REALLY like soy-like sauce you might try finding it elsewhere.) And if you are not allergic to soy then you could substitute gluten-free soy sauce (tamari). 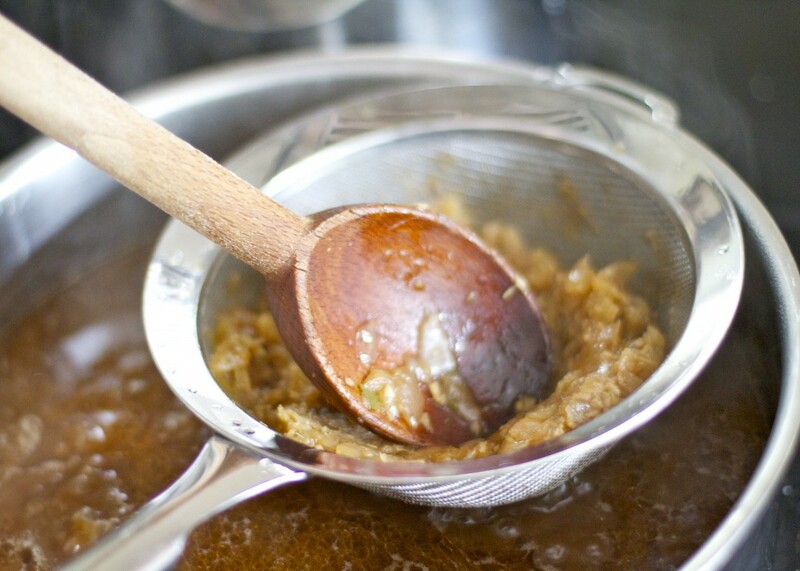 When I first made this recipe I used 4 cups of beef stock but I thought the concentrated sauce was almost TOO rich. I think it works just fine with 2 cups stock and two cups (or more) of water but it will depend in part on how rich your stock is and your taste preference. ** The views on foods “allowed” on an autoimmune paleo protocol vary. 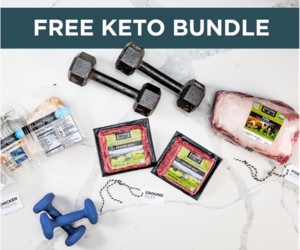 My definition is that you basically follow the standard paleo diet that eliminates grains, legumes, dairy and minimal added sugar but additionally eliminate eggs and foods in the nightshade family (tomatoes, eggplants, white potatoes, certain peppers, etc…) Many people choose to eliminate nuts as well. 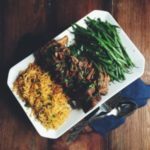 I used a serrano pepper in this dish which might fall into this category but you can easily eliminate this ingredient from the recipe and it won’t change it too much. Check my paleo food matrix for a more complete list. 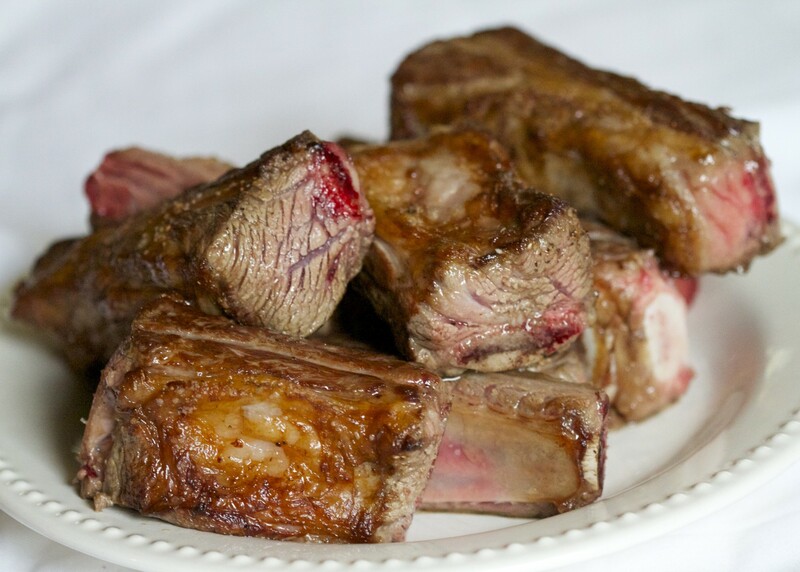 11 Responses to "Asian-Style Beef Short Ribs (Paleo)"
Thanks Dana. I’m going to put a link to Vitamin Shoppe in there. I thought ribs were plain disgusting prior to Paleo. And I’ve still only had them twice I think. But your recipe will make it three because I would totally eat that! Thanks Lea!! I made this yesterday and served it to Hub’s family last night. A party of 10 we were. It was a big hit and a real nice way to promote a friendly discussion about Paleo. Thanks, Lea! Great! There’s no better way to spread the news than over a good meal. I’m so glad it was a hit. Just finished eating this and omg it was incredible. We had the bok choy and Asian slaw with it. The slaw was a recipe adapted from the first one that comes up when you google “asian slaw”. Almond butter for peanut butter, cocnut aminos for soy sauce, eliminate the brown sugar (totally not needed), and added cashews. Perfect Dinner. It’s a total keeper. I actually combined this recipe with Nomnompaleo’s recipe for Korean short ribs. I think a huge tip is to “sear” them under the broiler; it’s way easier to do a bunch of ribs all at once. I then threw everything into the crockpot for about 10 hours. Once they were done, I pulled the ribs out of the sauce and put everything in the fridge. The next day I de-fatted the sauce (trust me I’m saving all that beautiful tallow for sauteeing) and then reheated the sauce adding the orange juice and shitakes. Reheated the short ribs under the broiler and made the baby bok choy. OMG this meal was amazing. Husband: “HOW did you make these ribs?? ?” I also had a batch of againstallgrain.com Roasted Pumpkin Soup in the freezer which I defrosted to serve alongside. Such beautiful colors and incredible flavors. Awesome awesome recipe! This looks and sounds delish! 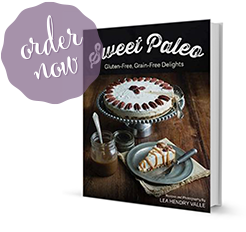 We just started eating paleo and I can’t wait to try this recipe. 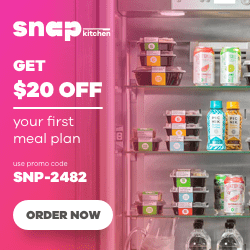 So how does the main (first) image with the Ribs, Pea Pods, and what appears to be noodles or maybe bean sprouts relate to the actual recipe on this page? I wanted to make what was in the first photo and was disappointed to see that this wasn’t the recipe for that. If you have the recipe for the meal in the first photo, or a link to where that photo is from I’d like to see it. Thanks.